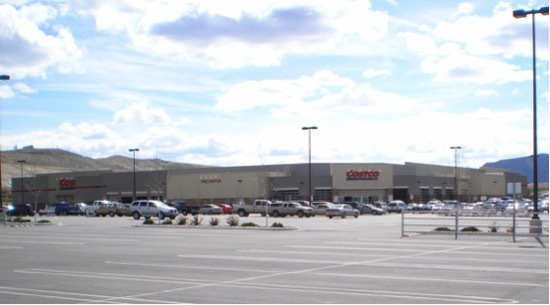 21360 North West Amberwood Dr.
Gould Construction performed the site work for Costco Wholesale in Gypsum, CO. Approximately 80,000 cy of dirt was moved on the project. The building pad was over excavated 8 feet, geogrid placed, and the soil processed and filled back to pad elevation due to poor soils. Water and sewer mains were installed. Approximately 10 acres of parking lot and an associated drainage system was constructed.